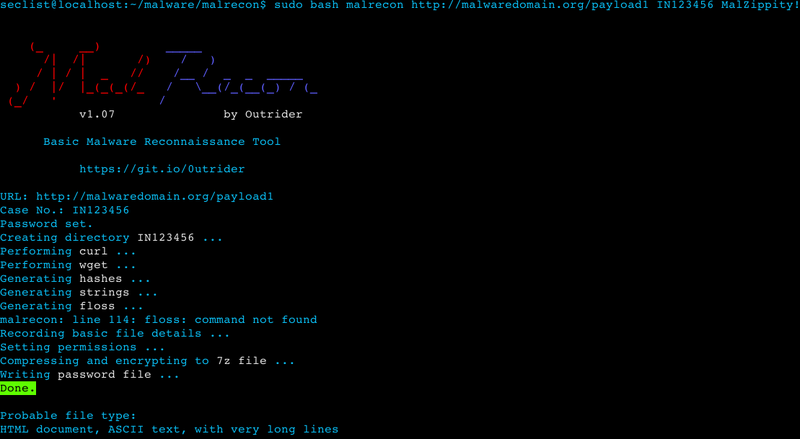 Browse: Home / MalRecon – Basic Malware Reconnaissance and Analysis Tool. 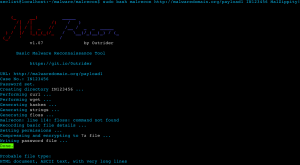 MalRecon is just a simple tool used to automate some of the more mundane tasks when obtaining malware. The final action is to compress/encrypt all of the files in a 7z for portability and analysis. It is designed to work out-of-the-box with Kali Linux, but should work with most ‘nix distros with no problem. 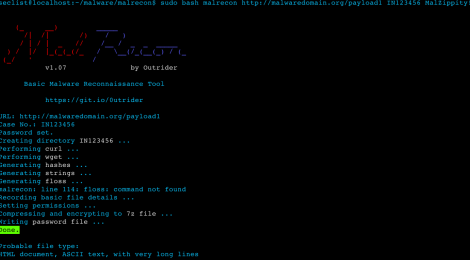 Simply run the update script from within the malrecon directory. ← Auto-Root-Exploit is a bash script for Auto Root Exploits Tool.